USDCAD is under pressure as the oil price is falling down and the USD is being supported. 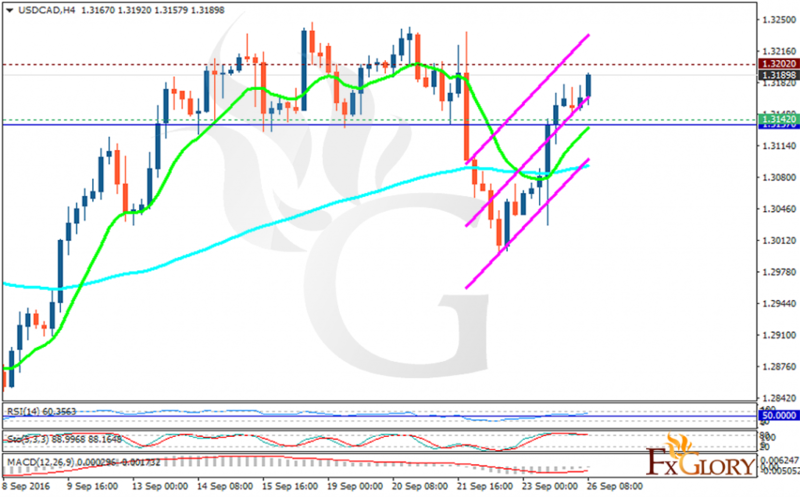 The pair is finding support at 1.31420 with resistance at 1.32020 which both lines are above the weekly pivot point at 1.31370. The EMA of 10 is moving with bullish bias and it has crossed the EMA of 100. The RSI is moving above the 50 level and the MACD indicator is in negative territory heading up however the Stochastic is moving in its maximum rate. Buyers can target 1.3200 area otherwise the pair will drop to 1.3000.